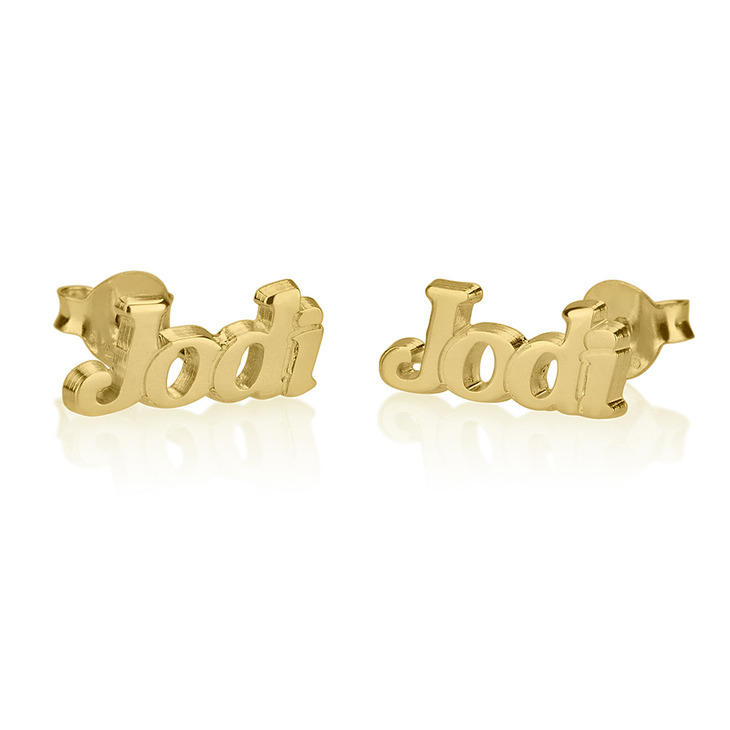 These classy and elegant Name Stud Earrings are uniquely personalized to complement your unique style, and bring out your personality in a fun and fashion-forward way. 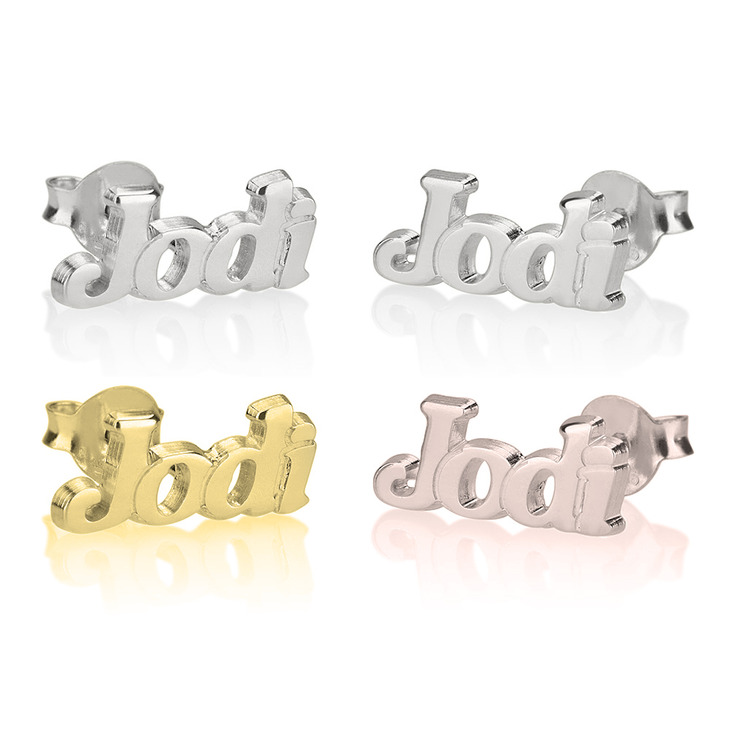 Simply let us know the name or word you'd like customized, and we will craft custom name earrings studs from sterling silver, also available to be plated in rose gold or 24K gold. These delicate and simple studs combine quality and effortless glamor, take them to the next level by pairing with your favorite name necklace. 18mm x 6mm / 0.7" x 0.2"